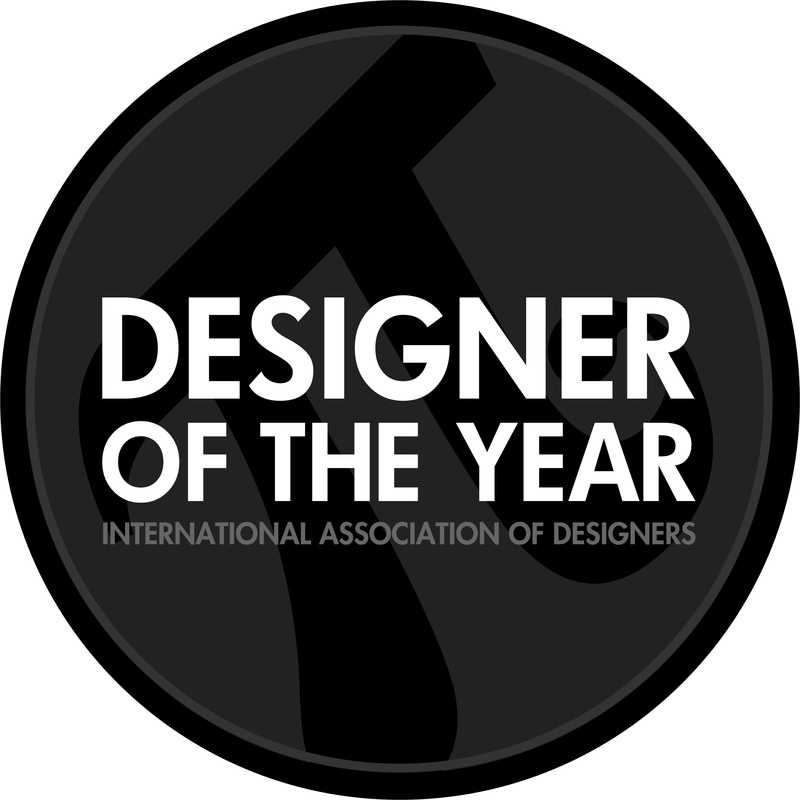 Designer of the Year award by IAD - International Association of Designers, honors a single designer every year with the title “Prime Designer of the Year”. As an adjective “Prime” means the following: 1. Of the first importance, 2. Of the greatest significance, 3. Of the highest eminence, 4. Of the highest rank, 5. First Rate. When used as a noun, “Prime” signifies: 1. The most flourishing state, 2. The period of state of greatest perfection and vigor of human life, 3. The best part of anything. When used as a very, “Prime” is: 1. To enrich, 2. To empower, 3. To fortify. Given all these definitions, the “Prime” Designer of the Year is a designer of first importance; is a designer of greatest significance, a designer of highest eminence, a designer of highest rank, a first rate designer. The “Prime” Designer of the Year is a designer at its most flourishing state, is a designer who achieved greatest perfection and vigor in life, is a designer who demonstrates the best state of art in design. The “Prime” Designer of the Year is a person who enriches, empowers and fortifies the design field. Prime Designer of the Year award aims to once again highlight and underline the importance of design by honoring senior designers, artists, architects and creatives who have invested a significant amount time for the development of design, arts and architecture fields. The Prime Designer of the Year is given to a living designer each year. While the title is “Designer”, it could be given to any creative, innovators or architects as well who achieves the “Prime” criteria. The “Prime” criteria are as follows: 1. A Prime designer is a person who has dedicated himself to the practice of design, this should be easily observable by a paramount amount of quality designs output. 2. A Prime designer is a philanthropic person who wishes to better mankind with good design. 3. A Prime designer is a diligent person whose work reflects intelligence and high-detail. There is an age limit of 40; designers less than 40 years are not eligible. To apply for the Designer of the Year award, designers should: 1. Become a member of the International Association of Design (Membership is free of charge, apply here), 2. Members who wish to apply, should afterwards send a suggestion email to designeroftheyear@iaod.net by answering the following question : Who should win the Prime Designer of the Year Awards, and Why he/she should win ? It is important to provide this information since these suggestions will also appear as testimonials for the winning designer. You may suggest multiple designer names (but not yourself since you will already be nominated). You may refer any member who is a past winner of A' Design Award & Competition; i.e. people you have met during the gala-night. Non-winners are not eligible. Application is free of charge. The Prime Designer of the Year award comes with the following: 1. A very unique A3 size document signed by at least 40 fellow designers (will be signed during the Gala-Night), 2. A unique trophy (will be given during the next gala night). 3. A special website and personal exhibition space (within the next edition of A' exhibition) which honors the winner designer. 4. The Designer of the Year Logo and Press Kit. 5. A Special press release. The winner will be selected among the nominees who have been suggested the highest number of times by other nominees. Each suggestion will be considered an +1 score towards the nominee. Furthermore each award will add from +2 to +7 score towards the nominee depending on the previous award status received through international competitions (+1 Runner-up +2 Iron, +3 Bronze, +4 Silver, +5 Gold, +6 Platinum, +7 Ultimate). Designers with the highest score will be chosen as the winner if all the conditions are met. The Prime Designer of the Year cannot be a company, design team or group of individuals; it is always given to a single living person. However, the recipient can honor an institution, a company or design team by providing an official thank you which would be included in the Designer of the Year certificate and website. Each individual could with the title only once in a lifetime. 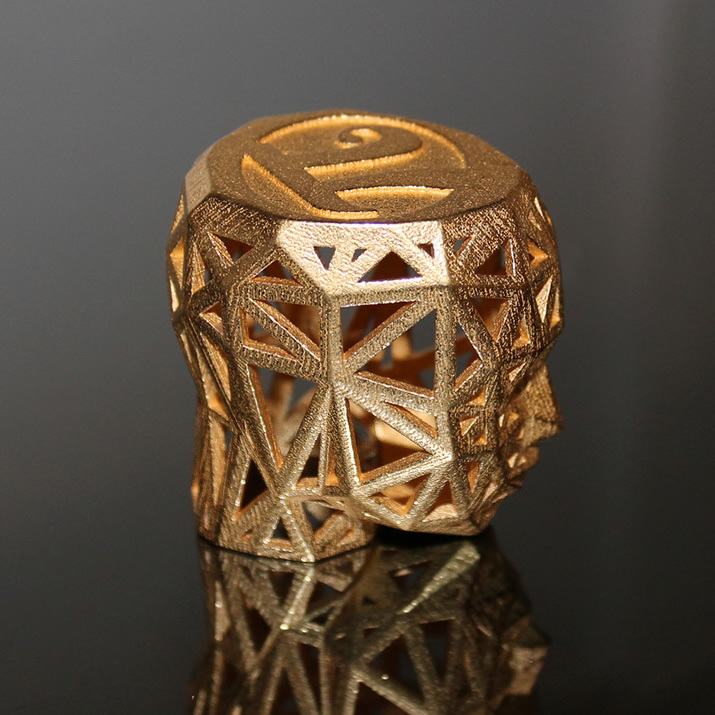 The 3D Printed Designer Trophy is awarded to each Laureate of the Designer of the Year Prize. · Learn about the Designer of the Year Award. · The International Association of Designers. 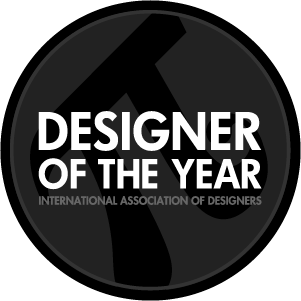 · Download Designer of the Year Award Logo. 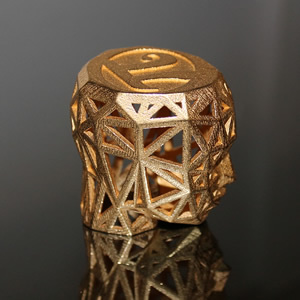 · Download Designer of the Year Award Trophy. · Apply for the Designer of the Year Program.